What is a luxury bathroom without any luxury features? If you have a worn out, lime scale crusted shower head in your bathroom, it is time for an upgrade. When you take a shower, you want to feel relaxed and you want to enjoy your time. A shower head that beats water down on your back too hard or a shower head that delivers too little pressure will make your bathroom and shower seem less luxurious. If you need help choosing the best shower head to elevate your shower stall, continue reading on below. One of the top luxury choices when it comes to shower heads is the shower panel system. This type of system provides you with water where you want it and keeps water where you don’t want it. For example, inside of your shower stall there will be a paneling of small shower spigots strategically placed at your knees, overhead, at your chest, etc. If you want to add a slight touch of elegance to your shower, you can choose an LED shower head that will light up as you shower. You can match the color of the light to your mood and you will never have to worry about those dark corner spots of the shower again. A sliding shower head is perfect if you have a family that ranges from short to tall and everything in between. The shower head itself is attached to a metal bar and you can maneuver the shower head up, down, and side to side based on your needs. Aerating shower heads are designed for those who want the luxury of a nice shower head, but want to conserve water for the environment as well. These shower heads take a mixture of water and air to provide you with a high pressure waterfall from above. Adding the right shower head into your shower stall can boost your mood and improve your overall showering experience. If you are in need of bathroom design services, the team at J. 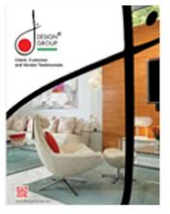 Design Group is ready to help you. Working to create the most luxurious bathroom? Learn the secrets to help you improve your bathroom space now!